Come and explore Hill End! 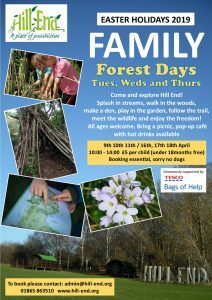 Splash in streams, walk in the woods, make a den, play in the garden, follow the trail, meet the wildlife and enjoy the freedom! Numbers are limited, booking is essential. Pay on the day. Parking is free but a permit must be displayed (print at home or collect one on arrival).